Hope you all have had a lovely weekend. 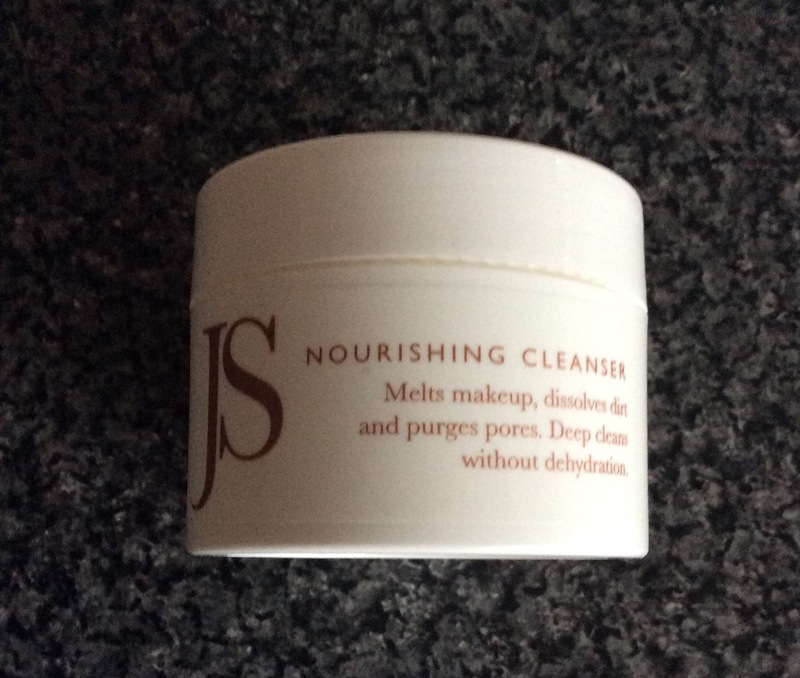 I was very lucky last month and v kindly received the Award Winning *Nourishing Cleanser (Full Size 100ml RRP £46) from Jane Scrivner, along with other samples from her range. Now that I have had to chance to try it properly wanted to let you know my thoughts. The Jane Scrivner Nourishing Cleanser comes with a beautiful white soft fluffy mitt and is described as a luxurious cleansing balm. Stated: Suitable for all skin types, this cleanser is a combination of balancing, elastin and collagen promoting Organic Jojoba Oil, with beeswax and 9 ‘skin loving’ essential oils. Non stripping and nourishing, leaves your skin beautifully clean, soft and luminescent – melts makeup, dissolves dirt and purges pores – deep cleans without dehydration. The product comes in a white screw top jar with rose gold writing – spatula included to scoop out product, which is perfect to keep it more hygienic. The packaging is luxurious as well as being practical. It has a balm type formula which turns into a serum / oil type consistency when you rub between your hands, then you just apply to the face and massage to dissolve any make up (removes waterproof makeup as well) and then you just remove with the mitt which comes with the cleanser. First thing I noticed was the uplifting, comforting Citrus fragrance (all the essential oils), love this aroma – a refreshing fragrance, not overpowering but when you apply it you feel you skin is being truly pampered and treated. 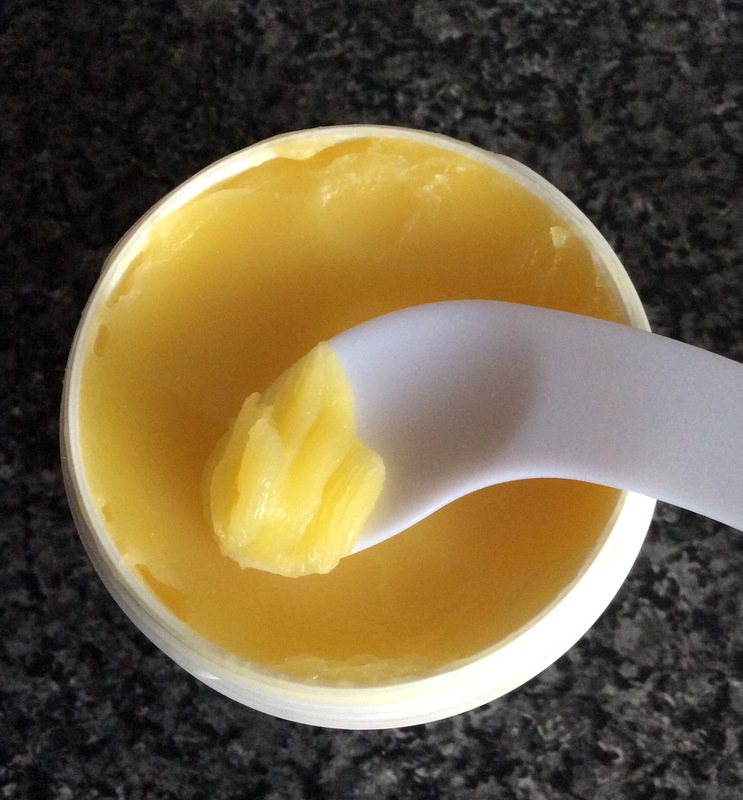 Now onto the application and results, I used one scoop at night (I find half is enough in morning), warmed balm in my hands, massaged onto face, gently around eye area to remove makeup. So impressed as it dissolves all makeup, even waterproof makeup so easily and then you just remove with your soft mitt (soaked in warm water and then wring out) then rinse mitt again and wipe face gently again. It is hard to describe the feeling of your skin afterwards, slightly different then any products I have used before as once you pat your face dry, your skin feels that it has been enveloped in a beautiful non sticky hydrating serum. Skin is perfectly clean but not tight at all, looks rejuvenated, radiant and soft to the touch. Can also be used as a night time recovery balm by applying a thin layer to face and neck and leaving to absorb overnight. 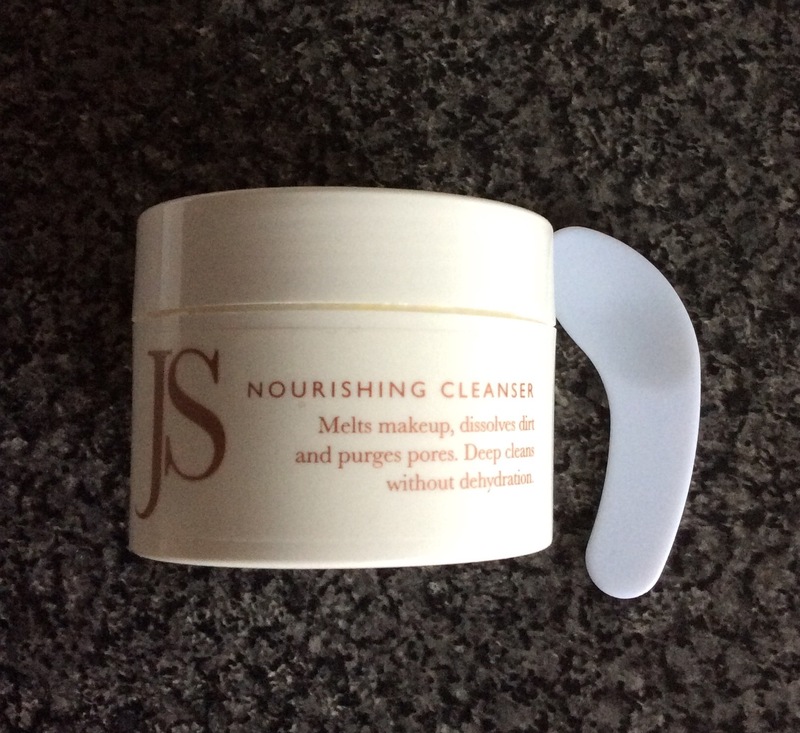 There are a number of cleansers I enjoy using but this is the first cleansing balm that I have used that I have got the results I want in one product, a cleanser with a beautiful refreshing fragrance which cleanses the skin so easily, removes all makeup and also leaves skin hydrated, refreshed with no irritation. I will definitely be purchasing this cleanser and more mitts – highly recommend trying it as do not think you will be disappointed. I have tried a lot of skin care products over the last few years but this along with the Sarah Chapman Skinesis Overnight Facial serum (you can see my review on this product here) are two of my favourites to date. I have also tried the sample products I kindly received as well and have enjoyed using them especially the ‘OO Cream (over oil cream)’ and Masquerade Intense De Stress Face Masque but still want to try them for a longer period of time. 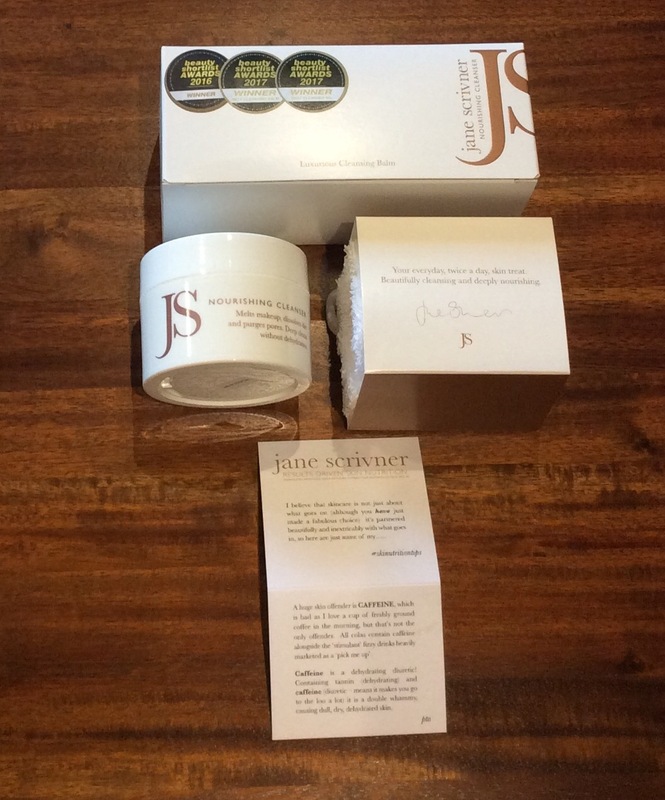 In case you have not heard of Jane Scrivner or her products before – please see link here for further details, range of products available. Look forward to any comments you may have. Have you tried this product already, and if so, do you love it as much as me. If you are not already a follower would love you to follow my blog too – would mean a lot.